PIERRE, S.D. 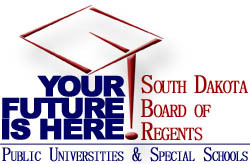 – The South Dakota Board of Regents agreed this week to four budget priorities for the coming year, including a comprehensive state financial aid program and first-ever funding of inflationary costs. 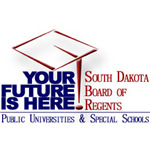 The regents’ budget request overall seeks $8.9 million in additional ongoing state resources linked to specific priorities of the six public universities and two special schools. Dakota’s Promise, a needs-based financial aid program funded with 50 percent state general funds and matched privately by campus-based foundations. The budget request for slightly more than $1 million would have the state, along with private funds, fill the funding gap for a student after every other available source—from the student, student’s family, institution, and federal government—has been used. To support all public university faculty, a salary competitiveness request equaling 1.5 percent, or $3.1 million, to supplement the state’s regular salary package. A general fund maintenance and repair request of $3.9 million to keep building and facilities’ maintenance funding at the same level as last year, which equaled 1.76 percent of campus building replacement values. An inflation increase for the public university system of $637,420, which is equal to 2.2 percent of its general-funded operating expense budget, excluding utilities.